Q1: What do you think of the 2015 figure being the highest number of suicide deaths on record here? Minister O’Neill: The suicide rate in the north of Ireland is unacceptably high.Reducing the suicide rate in the north of Ireland continues to be a priority for the department. Care must always be exercised when looking at a particular year – for this reason suicide rates are calculated on a 5 year rolling average to provide an accurate picture and avoid fluctuations. The suicide rate in the north of Ireland has remained quite stable for the last 10 years. Suicide is a highly complex issue and a result of unique interaction between personal circumstances, wider societal influences, emotional resilience, and adverse life events. High levels of deprivation, the legacy of conflict, and high levels of mental ill-health create a very challenging set of circumstances for many people in the north of Ireland. Efforts to reduce the rate of suicide here need to include broader intervention to improve the life chances and circumstances for more of our people, particularly those who live in deprived areas or who face social exclusion or prejudice. This approach must be combined with effective services for identifying people who are at risk, and ensuring they are provided with the support and care necessary to recover from suicidality. Suicide prevention will continue to require action across all government departments. A wide range of suicide prevention services are in place to help identify and support people who are in distress. These include bereavement support, Lifeline, community-based counselling, access to psychological therapies, mental health services, local research, suicide awareness and intervention training, addiction service, self-harm registry and self-harm prevention services, and public information campaigns. These services take account of the uneven burden on suicide in terms of the higher prevalence amongst those living in deprived area and the high prevalence amongst males aged 19 to 55. A new Protect Life strategy is being finalised for public consultation with a specific focus on frontline services for people in distress, repeat self harm and support for those bereaved by suicide. Q2: How much has been spent on suicide prevention since the Protect Life strategy was launched in October 2006? What has this specifically been spent on and will government investment remain at this level? Minister O’Neill: Over £50m has been allocated to suicide prevention since the launch of Protect Life. Over £7m is allocated annually to suicide prevention in the north of Ireland by the Department of Health. This does not take into account the significant contribution from the charities and the community sector, mental health services, and from other departments. 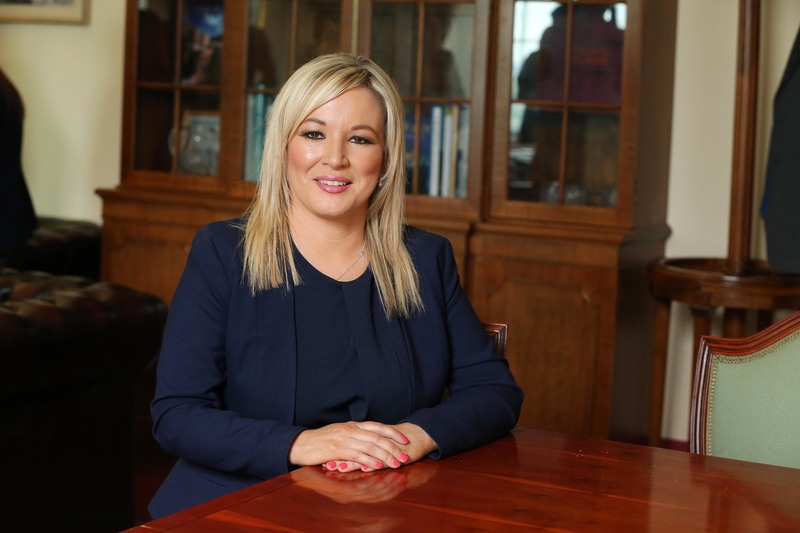 Departmental investment in suicide prevention has been in the services listed under the response to question 1 and is expected is expected to remain at the current level. Q3: Why was suicide not included as a specific issue in 2011-15 PfG and it is also not in the draft 2015/21 PfG? The word 'suicide' does not feature. Minister O’Neill: Suicide is closely linked to inequalities. The Protect Life Strategy focuses on reducing the difference in the suicide rate between the most deprived areas and the least deprived areas. Suicide rates in the most deprived areas are three times higher than the least deprived and almost twice the average in the north of Ireland. Male suicide rates continue to be three times higher than those for women. The draft PfG focuses on inequalities and it is expected that the suicide rate will be one of the indicators used in monitoring the implementation of the PfG. Suicide prevention will likely be a specific action under the delivery plan for the PfG ‘preventable deaths’ indicator. The final decision on the content of PfG 2011- 15 was made by the NI Executive. Q4: The average annual suicide rate per 100,000 of the population for 2013-15 remains at 16 deaths. Why is the Protect Life strategy not working? There was a government target to reduce it to 10.7 for 2010-12. Minister O’Neill: International evidence indicates that efforts to reduce national suicide trends need to be sustained and long term. Over the seven year period leading up to the publication of the Protect Life Strategy in late 2006, the suicide rate in the north of Ireland almost doubled. Since then the rate has remained steady. Undoubtedly, lives have been saved through Protect Life services, but it is not possible to estimate how many. The NI Audit Office has acknowledged that the relative impact of the Protect Life strategy on suicide is difficult to estimate. This difficulty is due to the fact that suicide is primarily a societal issue and is, therefore, influenced by a very wide range of interacting factors. This fact is recognised in other jurisdictions, some of which do not set reduction targets as part of their suicide prevention strategies. Q5: When will the new suicide prevention strategy be in place? Minister O’Neill: The new Protect Life 2 suicide prevention strategy is expected to issue for consultation in September 2016. Final publication of the strategy is anticipated in 2017. Q6. The 2015 suicide figures are broken down by health trust area in the Registrar General's quarterly reports. Does this mean where the deceased was from or where their death occurred? Minister O’Neill: The official suicide statistics are published in the Registrar General’s annual report. Department of Finance advise that the 2015 suicide figures will be included in the next annual report to issue on 31 August. The trust figures used are based on the place of residence of the deceased which is assigned on the postcode recorded at registration. All suicides are referred to the coroner and can take time to be fully investigated. It can take up to two years or more after a suicide has occurred before it is registered.